Christmas Day is a holiday observed generally on December 25 to commemorate the birth of Jesus, the central figure of Christianity. It’s a national holiday in western countries resemble the Chinese New Year. But now, it has grown steadily over the past few centuries in many regions of the world. Christmas means a joyful time of year. It brings friends and family together. Everyone smells joy in the air and everyone is celebrating Jesus’ birthday. It’s a matter of opening gifts, you can get a lot of presents from “Santa Claus”. Christmas Day is the time spending with your family, seeing all the beautiful lights, decorating the tree, eating all the food you can eat, send gifts to each other. How Happy! The Christmas atmosphere in China is getting more and more strong these years. Many family and supermarkets also have a decorated Christmas tree. People sent gifts and cards to show their blessings . All Peole are doing expect for the new year . Christmas to me means when you think of people that love you and the people who are loved by you, not just all the presents and the decorations. It’s all about giving and recieving and spending time with your loved ones. With the Christmas Day approaching, Best Technology take this opportunity to celebrate a fruitful results in 2010 and wish good luck and success in 2011 . Wishing everybody peace, joy and happiness through Christmas and the coming year. In previous article on Nov 2006, we started to accept the payment via Paypal with your credit card (refer to this: New Payment for Small Charge: Credit Card and Paypal) Now more people want to know how to send and receive the money via Paypal. 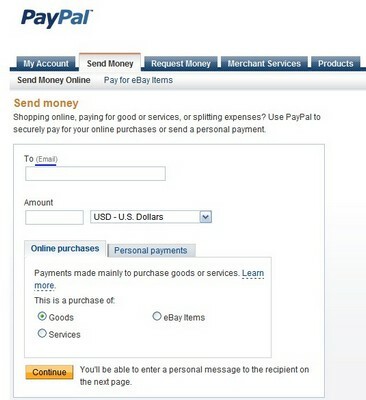 I think people can find the answers in help center of Paypal but seemed people like to see the process in pictures. As preverb says: A picture worths thousands of words. So I wrote this artcile and hope this will help people understand it. Send money to your customers, your friends is very easily. Login your A/C and click “Send Money” on top position and you will see two opinions: “Send money online” and “Pay for eBay items”. I take a picture showing “send money online”. You can also write a message to receipt, limited to 300 characters. After checking everything is right, then confirm it and money will be sent out. Very easily? Yeah! Next time let me show how to receive the fund your customers or friends send to you. I think you’ll like it, Paypal is very convenient for small amount of money transfering, very fast (almost immediately), free to send money, and a little receiving fee (most of time, none). So my friend, if you order flex circuit, rigid-flex, or any circuit boards, with our company (Best Technology), small amount (less than $500), you can choose this way. All right. Is everything clear for you now? Any question, write email or leave message here, we will answer it very fast.